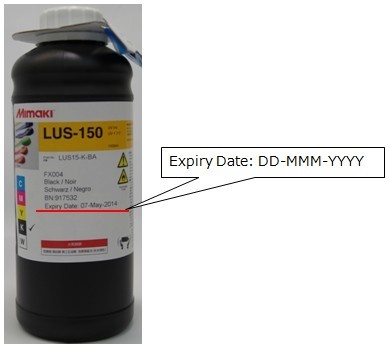 Answer: LUS-150 ink is used for JFX200. The ink’s expiration date is on the each ink label. Do not allow expired ink to be used; it will cause fault printing.